The pound has opened against the euro at €1.110 according to Bloomberg figures. After sharply falling following the announcement of a vote of no-confidence in Theresa May, the exchange rate quickly recovered. Sterling fell to €1.103, before picking up again after winning the vote. The Prime Minister won a vote of confidence after securing 63 per cent of the vote – 200 to 117. Currency analyst Laura Parsons commented: “The pound staged a comeback on Wednesday on bets PM Theresa May would survive a vote of no confidence. 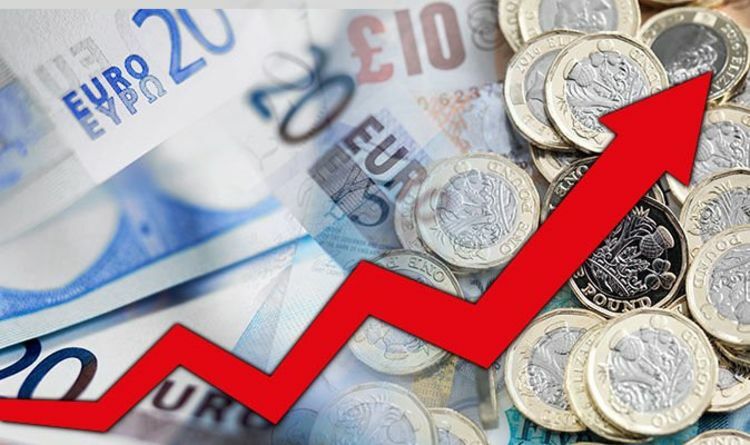 “The GBP/EUR exchange rate pushed back above €1.110 and managed to hold these gains after the vote was held as May secured enough support to retain her position. The vote came after 48 MPs started the secret ballot as they did not agree with her current Brexit deal. Following her win, Theresa May said: “I am pleased to have received the backing of my colleagues in tonight’s ballot. May will travel to Brussels later today to continue working on the deal which will see the UK leave the EU in March 2019. She will be joining the EU summit to discuss the contentious Irish backstop. A hard border is currently being fought against to prevent any customs checks between Northern Ireland and the Republic of Ireland. May’s deal will keep the UK in line with EU laws to prevent a border being placed and protecting the Good Friday Agreement signed in 1998. Ms Parsons, currency analyst at TorFX, explained how the pound could struggle to pick up. “News that EU leaders are ruling out the possibility of the Brexit deal being renegotiated weighed on the British currency and the uncertainty will keep the pound under pressure as the week continues,” she said yesterday. Britons who want to protect themselves financially from the fluctuating exchange rate can do so when buying foreign currencies. Holidaymakers can buy their foreign money at different times of the year when the pound is strongest. Using pre-paid currency cards can lock in a strong rate to prevent falling victim to the plummeting sterling. Avoiding countries that use the euro can also mean a much better value holiday. Countries such as Turkey, which uses the lira, or Egypt, which uses the Egyptian Pound, are better value against sterling.